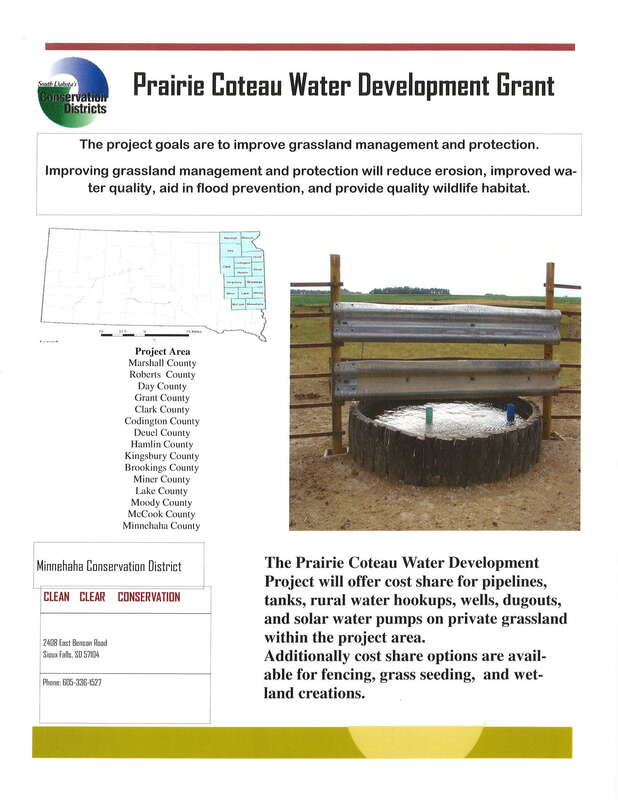 We have a grant opportunity that is open to anyone who owns land in Minnehaha County and several of the surrounding counties. This grant is not tied to any of the other farm programs. For more information regarding grant criteria, contact John Parker at 605-370-3480. To apply for the grant, contact Jennifer Briggs, U.S. 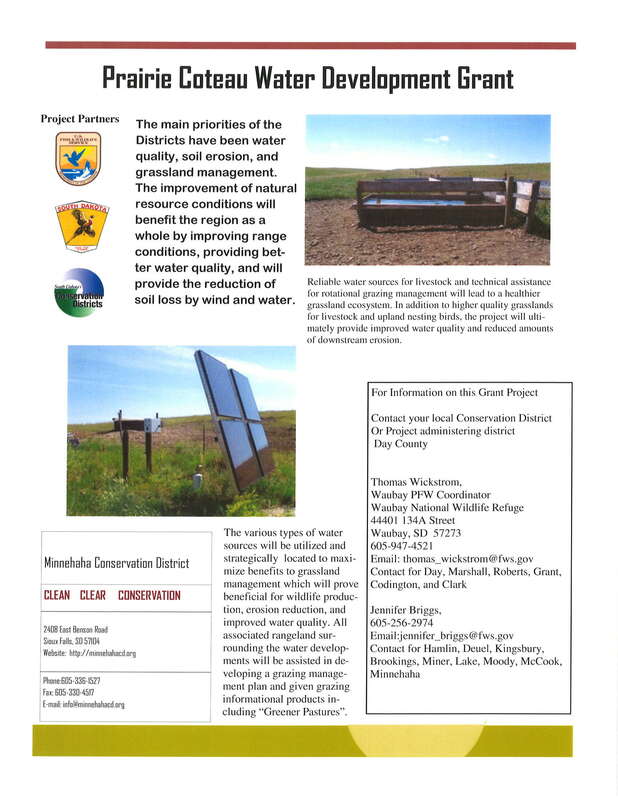 Fish and Wildlife Service, by calling 605-256-2974 or emailing jennifer_briggs@fws.gov.